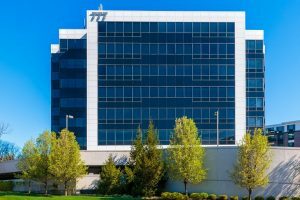 Real estate firm Alfred Sanzari Enterprises has inked a lease deal with Diana Food for 8,455 square feet of office space at Heights Plaza located at 777 Terrace Ave. in Hasbrouck Heights. 777 Terrace Ave., Hasbrouck Heights. With a presence in 14 countries across the globe, Diana Food is a pioneer in the development of natural ingredients and flavorings for the agro-food industry. Prior to coming to Heights Plaza, Diana Food was splitting its administrative, executive and sales teams between offices in Saddle Brook and Teterboro. The lease of 8,455 square feet at Heights Plaza will provide a new home for the company’s food testing, R&D operations and executive, sales and administrative teams while providing the firm with ample room to grow their operations out of a well-located building. Located at the intersection of I-80 and Route 17, the six-story, 200,000-square-foot Heights Plaza office building provides easy access to the New Jersey Turnpike, Garden State Parkway and Route 46 in addition to New York City via the George Washington Bridge or Lincoln Tunnel. The building also boasts a wide range of amenities and features including abundant covered parking, an on-site full-service cafeteria with indoor seating, 24/7 card access, an on-site building engineer and day porter, and updated common corridors and restrooms.